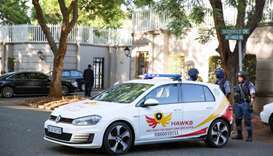 The National Prosecuting Authority's (NPA) spokesman Luvuyo Mfaku said the raid was part of an investigation into theft, fraud and money laundering at a state-backed dairy project in the Free State province. 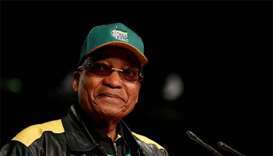 Jacob Zuma, 75, smiled broadly and gave a thumbs-up as he walked into the Durban High Court building to take his seat in the dock just seven weeks after he was forced to resign from office. 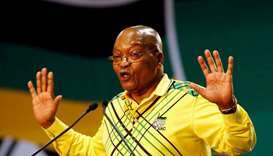 South Africa's former president Jacob Zuma was due to appear in court on April 6 to face charges of corruption in a years-old $2.5bn arms deal, his lawyer said on Monday. 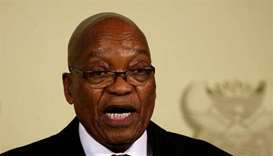 Former South African president Jacob Zuma is to face corruption charges over a $2.5 billion arms deal, prosecutors said, as a years-old scandal returned to haunt him within weeks of his fall from power. 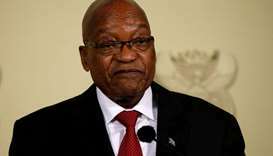 Jacob Zuma resigned on Wednesday under intense pressure from the ruling African National Congress (ANC) party that he had dominated during nine years in power. 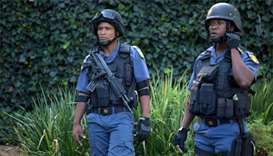 South African police raided the family home of businessmen friends of President Jacob Zuma on Wednesday amid a probe into allegations that the family used their links with the president to win state contracts and influence Cabinet appointments. 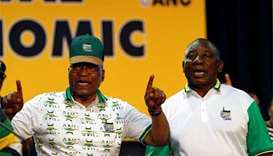 South Africa's ruling party decided on Tuesday to sack Jacob Zuma as head of state, two sources said, after marathon talks over the fate of a leader whose scandal-plagued years in power darkened and divided Nelson Mandela's post-apartheid 'Rainbow Nation'. 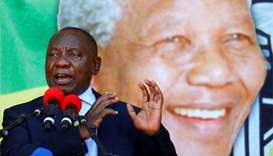 South Africa's African National Congress leader Cyril Ramaphosa said the party's executive body would meet on Monday to finalise discussions on the future of President Jacob Zuma, who is under pressure to step down. 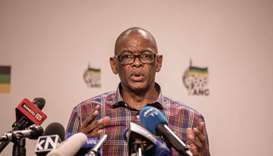 South Africa's ruling party confirmed Monday that discussions were underway on President Jacob Zuma's departure from office, possibly signalling the coming end to his scandal-tainted nine-year reign. 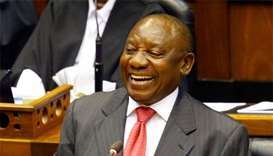 Markets have rallied since Cyril Ramaphosa narrowly defeated Jacob Zuma's ex-wife Nkosazana Dlamini-Zuma in an ANC leadership contest last month. 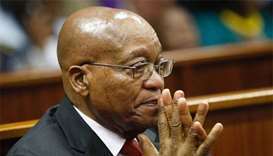 The High Court in the capital Pretoria ordered Jacob Zuma to appoint within 30 days a judicial inquiry into the allegations that have hung over him and his associates. 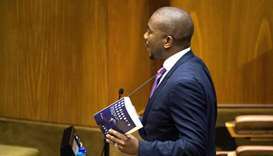 South Africa's spy agency threatened on Friday to seek a banning order for a newly released book that makes a series of corruption allegations against President Jacob Zuma.